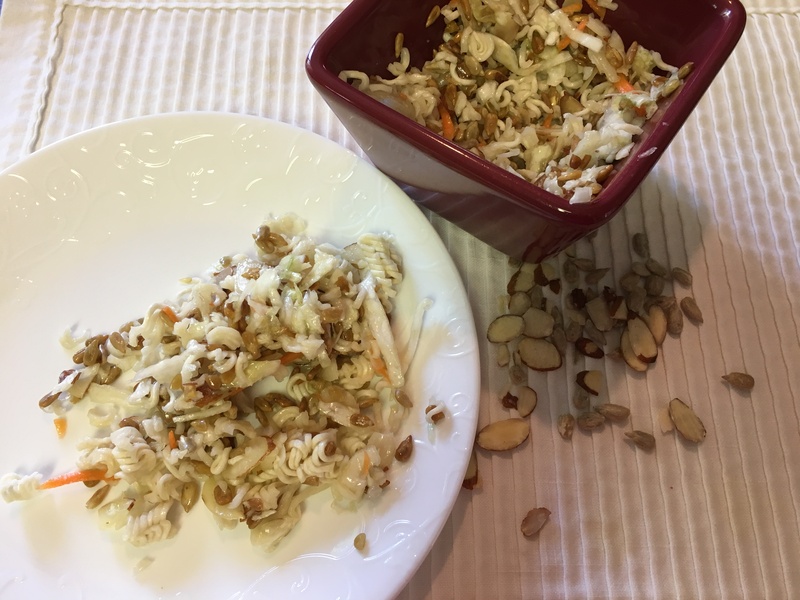 A new take on an old favorite, this coleslaw has been a fave of mine for years–ever since I had it at my friend Denise’s. While I think we have her sister to thank for the recipe, I’m also going to site Food.com for their version (minus the onions). For those final cook outs this summer, or something a little out of the ordinary–give this a try and let me know how what you think. Enjoy! 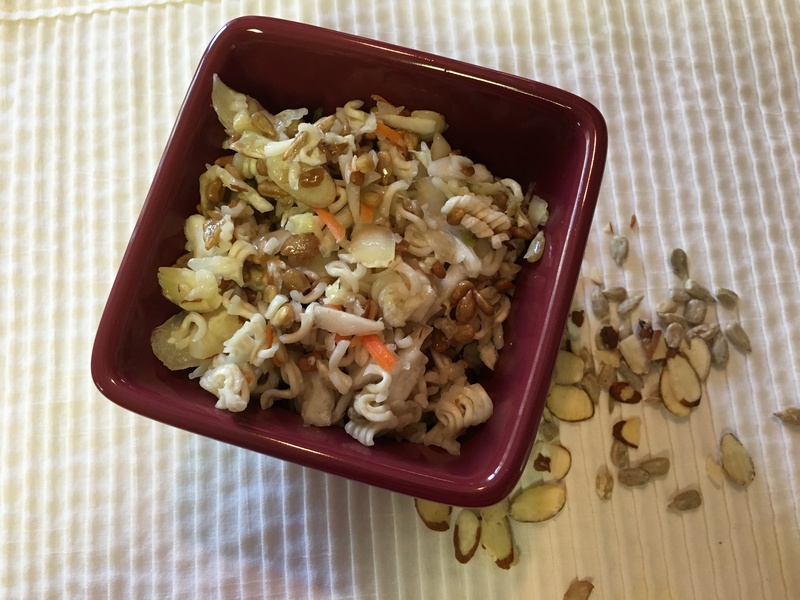 Toss together cole slaw and green onions. In a small mixing bowl, whisk together oil, vinegar, sugar, and ramen seasoning packet. Pour over salad and toss together. 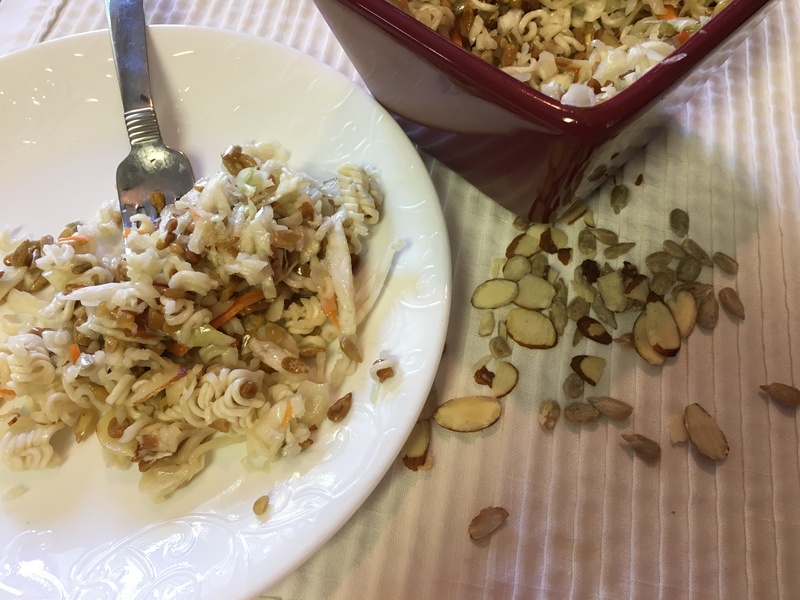 Just before serving, add ramen noodles (broken into small pieces), almonds and sunflower seeds and toss together.